Lytton Strachey and Virginia Woolf began their careers by writing reviews and literary essays for The Times Literary Supplement and The Spectator. A protracted discussion of literature and points of style fills their correspondence. 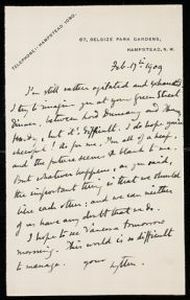 Strachey was “all of a heap” because he had proposed marriage to Virginia Woolf before writing the letter shown on the left. 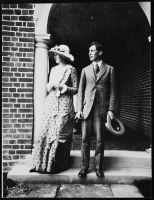 He eventually withdrew the offer, and suggested to his friend Leonard Woolf that he pursue Virginia. 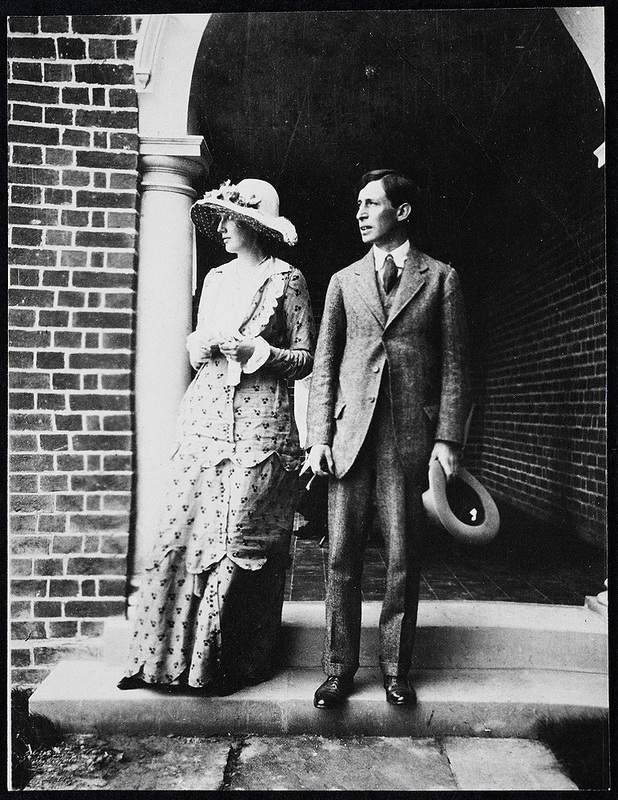 Virginia and Leonard Woolf wrote a 6 June 1912 letter to Lytton announcing their engagement. Their engagement photograph was taken at Dalingridge Place, the Sussex home of Virginia’s half-brother, George Duckworth. 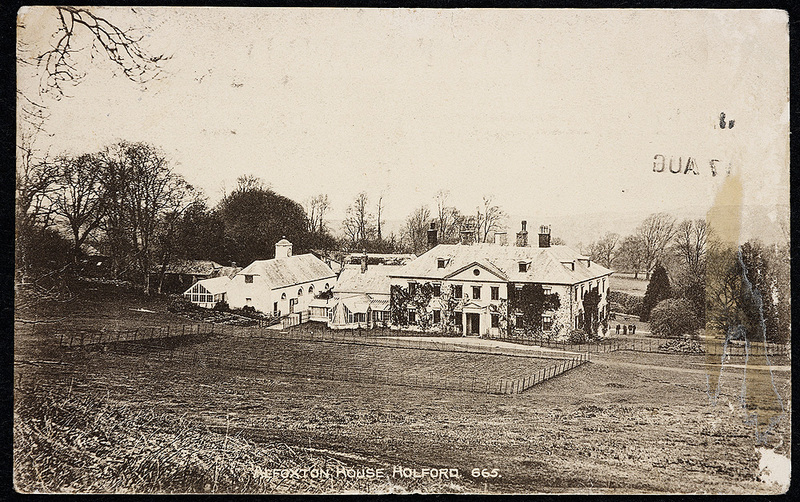 The wedding took place on 10 August 1912, and Virginia sent Lytton a postcard from Alfoxton House, Holford, on their honeymoon. (William and Dorothy Wordsworth stayed at Alfoxton in 1797, while Coleridge was living nearby at Nether Stowey.) Leonard Woolf and Lytton Strachey were close friends from Cambridge, along with Virginia’s elder brother, Thoby Stephen, and her future brother-in-law, Clive Bell. Lytton Strachey. 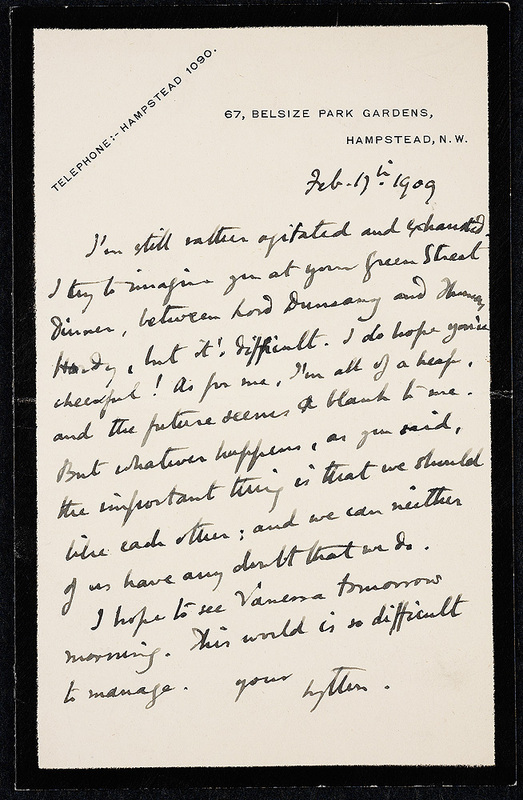 Letter to Virginia Woolf, 17 February 1909. Virginia Woolf. 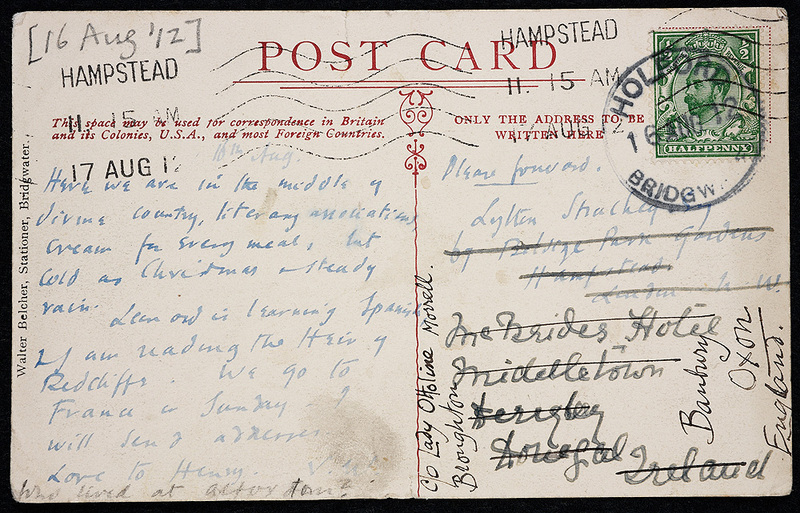 Pictorial postcard to Lytton Strachey, 16 August 1912. 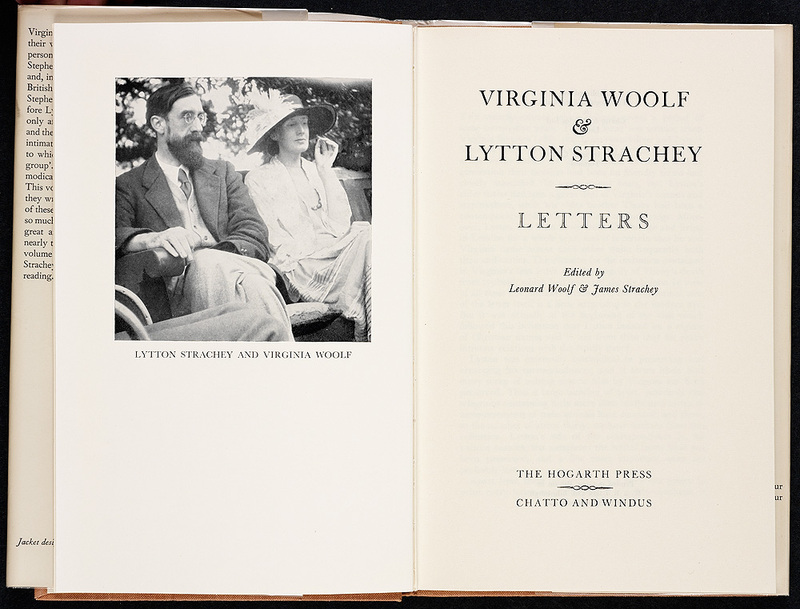 A selection of the Woolf-Strachey correspondence was published by the Hogarth Press in 1956. A 1923 photograph of the British writers served as the frontispiece. 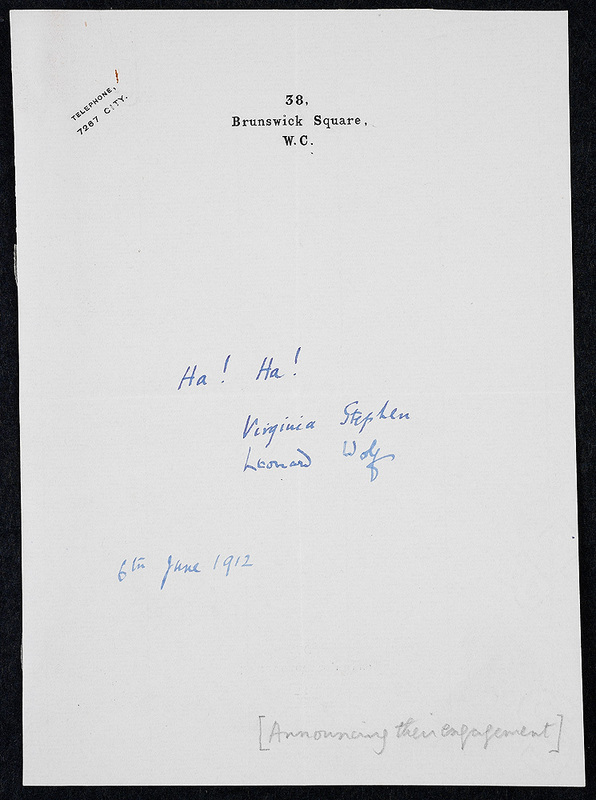 Lytton’s younger brother James Strachey and Leonard Woolf edited the correspondence. All of the one hundred and forty original letters from this correspondence are now part of the Frances Hooper collection in the Mortimer Rare Book Room. Virginia Woolf & Lytton Strachey: Letters. Edited by Leonard Woolf and James Strachey. London: Hogarth Press & Chatto and Windus, 1956.